The leaves are Caron Impressions which is a 50% wool, 50% silk blend. 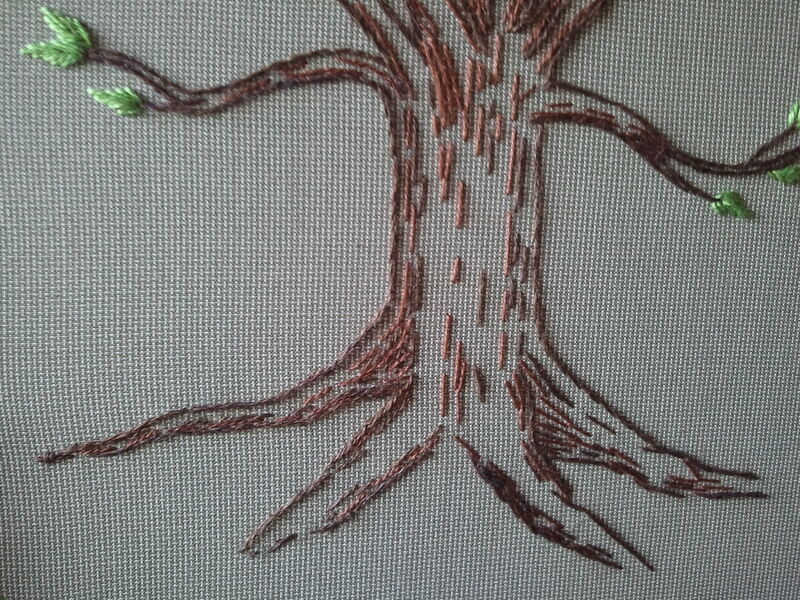 It’s more tightly twisted and plumper than the Bella Lusso Merino I used to stem stitch the tree trunk. It gives the leaves (done in leaf stitch) nice dimensionality. 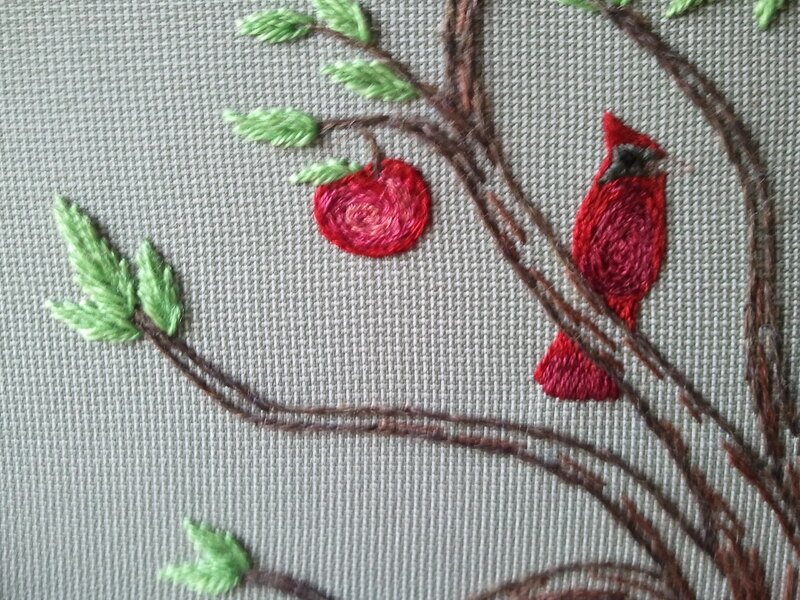 The apples and the cardinal are done in split stitch with two strands of DMC floss. 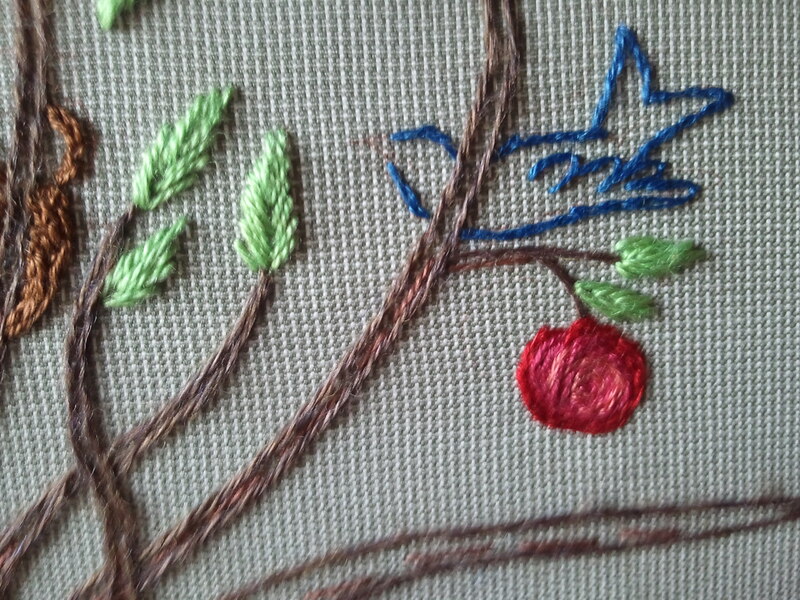 The bluebird will also be done in split stitch with two strands. 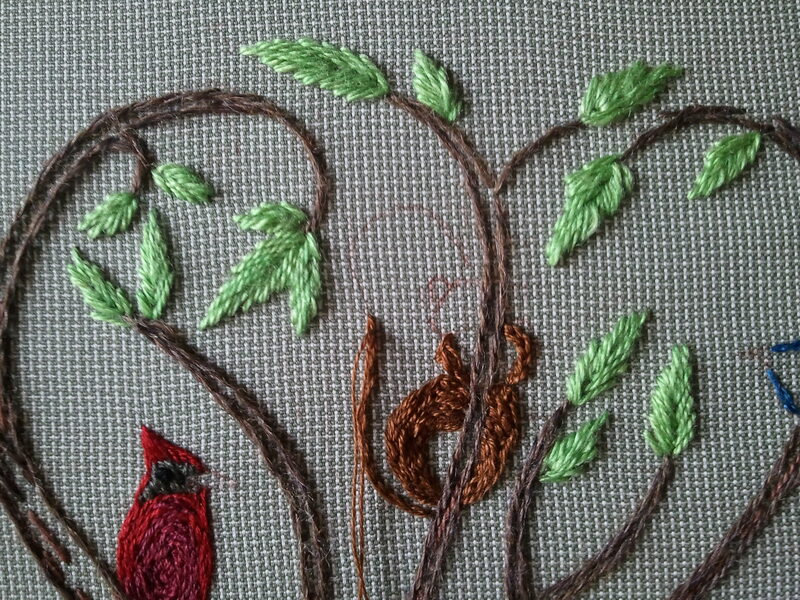 I’m going to try again with Turkey work on the squirrel’s tail. To that end, his body is split stitch with 4 strands of DMC floss for added height, and I’m going to try padding his face with a piece of felt. Fingers crossed he’ll look like he’s supposed to. This entry was posted in Uncategorized and tagged birds, embroidery, family tree, surface embroidery by Rene. Bookmark the permalink.